A recent report was issued by the World Health Organization about health effects from Fukushima Daiichi. The news is mostly good, but mixed. The bad news is that infants in two areas must be monitored for thyroid cancer because their risk of such cancers may have increased. For others in Japan and the rest of the word, the report had excellent news: negligible health effects can be expected in the civilian population. But how do you tell people good news? Or even mixed news? Or anything except the "worst disaster the world has ever known" fear-mongers? The World Nuclear Association has made an excellent effort to get the good news out, and this video by the World Nuclear Association is well-made and accurate. "Nuclear opponents think that hundreds of thousands of people will die from these accidents, and these proponents think nobody's going to die. Sounds extreme, both of them. Sounds like it's all propaganda, from one side or another." Any of my readers have ideas on how to make this good news more believable? What parts of this video were convincing, and what parts were less convincing? I also recommend Rod Adams post about this video: Exaggerated myths about nuclear accidents CAUSE negative health effects. Last week, the NRC held its yearly meeting to review Vermont Yankee. I describe this meeting in my post today at the American Nuclear Society blog, ANS Nuclear Cafe. My post is NRC Public Meeting in Brattleboro: The Politics of Intimidation. In the picture at left, NRC staff are leaving the meeting while the plant opponents have taken over the front of the room. There's a short video of this meeting at the post Planned Disruption at NRC Meeting. Full coverage is at the ANS blog. I would like to share two local opinions that were published after the meeting. Newspaper op-ed: The Keene Sentinel wrote: Democracy is More Than Making Noise: "But we don’t share any belief that such protest performances will have constructive material effects, nor do we share the conviction by some participants that the disruptive tactics represent something larger than they are." "Then about four years ago the NRC was here to tell us how great Entergy Nuclear Vermont Yankee was doing. I think it may have been another annual assessment meeting, and a dear friend tossed a handful of compost to the NRC delegates here...Swear words and compost are not toxic and they do not cause cancer like radiation can." As we can tell from Sachs letter, nuclear opponents in Vermont embrace the politics of intimidation and feel justified in using them. They have used intimidation for many years. Disruption and intimidation. It works at some level. Still, I can't imagine an undecided person watching this meeting and thinking:"Wow. these anti-nuclear people are right. They have convinced me. I want to get out there and chant and shout too!" Intimidation is fun, but it is not a convincing strategy. In the past week, two of Vermont Yankee's sort-of-sister plants were granted 20-year license extensions by the NRC. These plants are Pilgrim Station in Massachusetts and Columbia Generating Station in Washington State. Vermont Yankee, Pilgrim and Columbia Generating Station are all GE boiling water reactors. Vermont Yankee and Pilgrim are close to the same size and age while Columbia is newer and bigger. 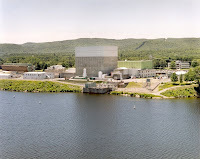 Vermont Yankee was commissioned in 1972 and is 620 MW. Columbia Nuclear Generating Station was commissioned in 1984 and is 1150 MW. Opposition: Local opposition to the Pilgrim license renewal was spearheaded by a group called Pilgrim Watch. The opponents put together a "Freeze Pilgrim" referendum, about "freezing" the relicensing process until all possible upgrades were done. Before the referendum, Howard Shaffer debated Arnie Gundersen on this issue, as reported in this blog, and described in a local paper. Howard Shaffer's well-organized review of the debate was posted at ANS Nuclear Cafe. Shaffer puts the debate in context. The "Freeze" Referendum won 3,200 to 2,300. 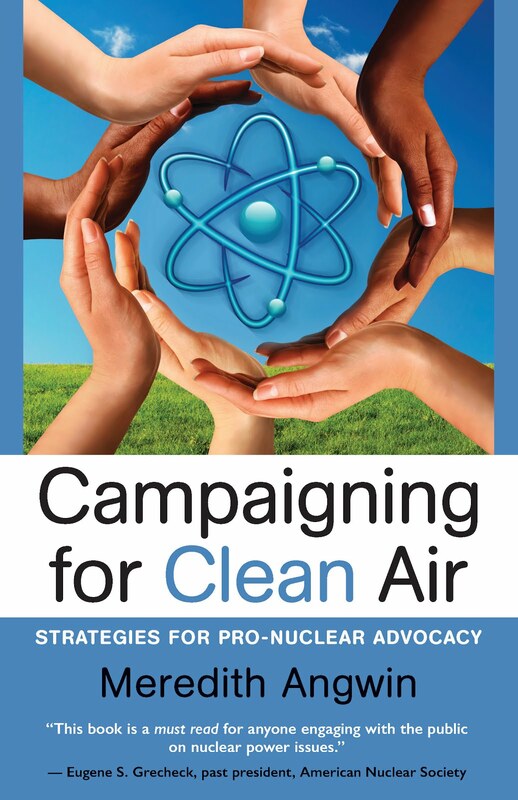 While Shaffer did a great job with the debate, pro-nuclear people were not organized to go door to door, leaflet the town, etc. The opponent group was very organized. Organization pays off. 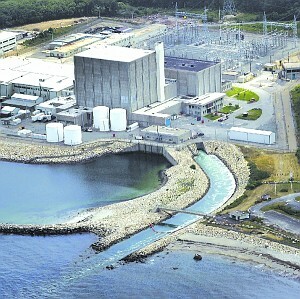 Licensing: Pilgrim's NRC license was due to expire on June 8. 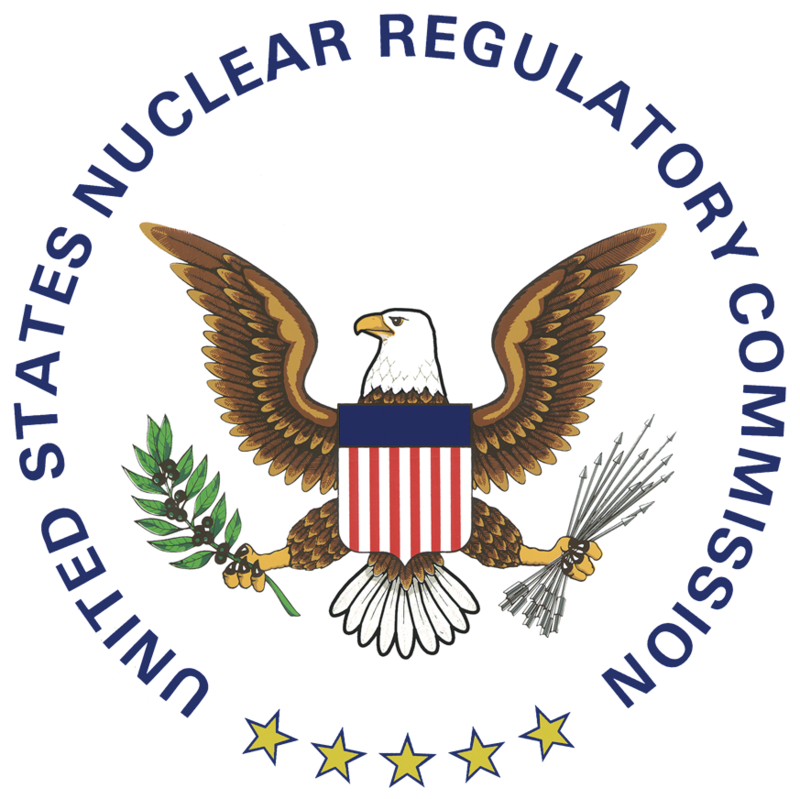 The NRC spent over six years reviewing the license before it was granted last week, the longest time for a renewal review in agency history. Neil Sheehan, an NRC spokesman, noted that Pilgrim’s application had been submitted on Jan. 27, 2006, and that the 6 1/2 year review period was the longest of any other renewal application in the agency’s history. He said NRC staff devoted approximately 14,600 hours to reviewing the application. Chairman Jaczko voted against the renewal, saying that there were still issues about the plant in front of the Atomic Safety and Licensing Board (ASLB). Jaczko further suggested that new rules be enacted for granting renewal licenses, preventing them from being granted under these circumstances.. For a good review of the issues and votes, I recommend Brian Wheeler's article in Power Engineering Magazine. Note: As most readers know, Chairman Jaczko recently resigned from the NRC. But that would be a whole new blog post or three whole new blog posts. Many nuclear bloggers are covering the issue well. See the latest Blog Carnival at Atomic Power Review for good links! Local Officials React: According to the Associated Press, Governor Deval Patrick called the NRC decision "extremely troubling." Representative Markey didn't like it either (not a surprise there!) The Massachusetts Attorney General's office plans to pursue appeals through the courts "and other appropriate channels." According to the NRC website, Columbia Station applied for a renewal license on January 1, 2010 and was granted it on May 22, 2012. According to the Bellingham Herald, Washington Governor Chris Gregoire came to the station to congratulate the workers, and "Sen. Patty Murray, D-Wash., and Rep. Doc Hastings, R-Wash., could not attend the event, but they sent videotaped messages." Steve Wright, administrator of the Bonneville Power Administration, which markets the power produced at the plant, said it is "an extremely important and valuable asset for the long term. "....The license renewal was not an easy test, but with the plant's future now defined, the plant will need to continue its substantial effort to improve performance, he said. "We all want Columbia's performance to be elevated to a level admired by plants across the world," Wright said, drawing applause from workers. Note: I have a video of Columbia Station up on this blog, and it gathered many comments about the relative ranking of the station compared to other BWRs. Two plants, two governors, two license renewals. One license renewal took over six years, mostly because of contentions, and the state A G is planning to sue (or something). That was Massachusetts. The other renewal took a little more than two years, and the plant received bi-partisan support from local officials. That was Washington state. I'm dreaming of Vermont being more like Washington state in the future. After all, both states have hydro power and nuclear power and mountains. Will Davis of Atomic Power Review has posted the 106th Carnival of Nuclear Bloggers. It's been an exciting week in nuclear, with Jaczko resignation and the nomination of his successor, and it is great to see the blog Carnival go up. I also want to give Davis a lot of credit for devoting his time to this work during this beautiful and solemn weekend. Several posts (Atomic Insights, Neutron Economy, Idaho Samizdat, ANS Nuclear Cafe, Next Big Future) discuss Jaczko's departure and the marginal qualifications of his nominated successor. Nuke Power Talk discusses "electricity too cheap to meter"..would that be a good thing? Hiroshima Syndrome describes the Japanese government shooting itself in the foot by objecting the World Health Organization numbers on radiation releases. Yes Vermont Yankee attends an NRC review meeting that has the characteristics of a mob scene. Canadian Energy Issues describes world-wide CANDU construction projects, and what they have learned from the Canadian experience. Next Big Future also debunks the latest "nuclear winter" scenario. A good Carnival, and worth attending! Disruption at the NRC review meeting last night was carefully planned. This video shows a lot of it, but not all. It doesn't show the noisemakers and whistles in use, or the group chanting. I have a cameo appearance in this two-minute video. I also recommend this morning's Brattleboro Reformer article about the meeting. Update: This Keene Sentinel article describes some of the noisy chanting. 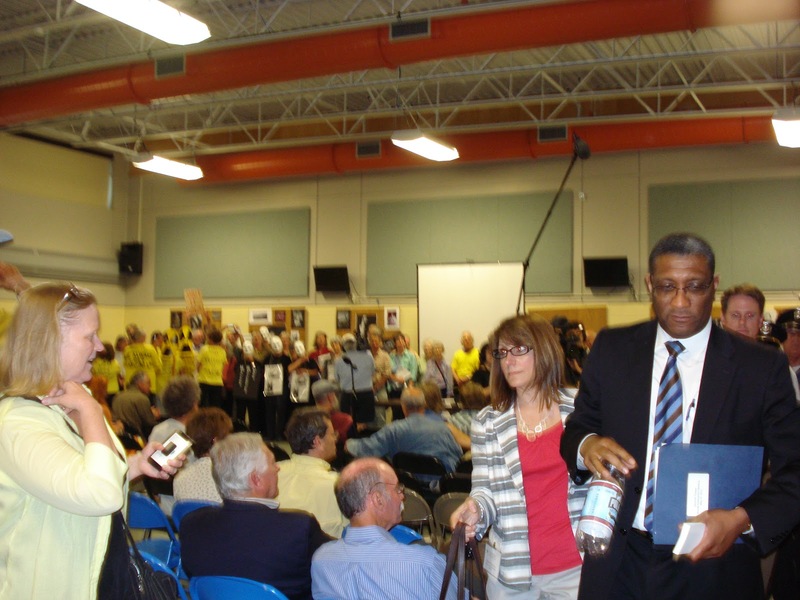 Also describes how the one person who spoke in favor of Vermont Yankee was shouted down. Poll Shows Vermonters Equally Divided on Vermont Yankee Operation. NRC Meeting Tonight. A recent poll on energy issues was commissioned by Vermont Business Magazine and two of Vermont's biggest radio and television stations. Results show that 44.8% of Vermonters want the state to continue to try to close Vermont Yankee, and 44.2% want it to keep operating. 10.7% were undecided. In other poll questions, the merger of Central Vermont Public Service (CVPS) into Gaz Metro/Green Mountain Power was also a split decision: 36.4% support the merger, 28.7% oppose it, and 33.4% were not sure. In contrast, opinions on returning the CVPS rate-payers money was not an even split. A whopping 66.4% of Vermonters think CVPS customers should be repaid the $21 million that was borrowed from them, while only 23.4% think the money should be used for weatherization projects. Governor Shumlin wants the weatherization projects. I wonder if Shumlin would still describe this $21 million as a "quibble"? See my post yesterday for a fuller description: Gaz Metro: What's in it for Vermont? What's in it for Governor Shumlin? Finally, Vermonters overwhelmingly support wind turbines (69.4%) and state subsidies for renewable energy (63.1%). I will be at an NRC meeting this evening in Brattleboro. Judging by previous NRC meetings in Brattleboro, the opponents are not there to listen: they are there to hold an anti-nuclear rally, with a built-in audience. Judging by a recent NRC meeting for Indian Point, opponents are going to be out in force with signs and costumes. It cheers me up that this poll came out today. Every year, the NRC meetings are an unpleasant experience, including opponents shouting, booing, and saying that they are behaving this way because--by golly, they come every year and the NRC still hasn't shut the plant down! The nerve of the NRC! The NRC is supposed to jump when the opponents say: "jump"! Still, I go to the meeting to support the plant. To support nuclear energy. And to show that mob rule and scapegoating won't work in this country. It's nice to have read the poll right before I leave for Brattleboro. Thank you, Vermont Business Magazine, for choosing today to release the results. Gaz Metro: What's in it for Vermont? What's in it for Governor Shumlin? The legislature will not force Gaz Metro to return $21 million dollars they borrowed from the ratepayers of Vermont. CVPS (soon to be part of Gaz Metro-Green Mountain Power) will be able to keep the money, and even receive interest on it. The AARP has a serious campaign to make Gaz Metro give the money back. However, Governor Shumlin has persuaded the legislature not to insist on such quibbles about the funds, not to pander for votes, and not to give the money back. I have most of the sordid story in my blog post: Money Settles Into Gaz Metro Pockets, Dust Settles Under the Dome. Rob Roper of True North reports wrote a very telling interesting story on this issue in WTF?! (Why The Flip?!) Twenty members of the Vermont House publicly changed changed their votes. They had sponsored the bill to give the money back, or they had declared for it, and then-- presto chango--they voted against it. Shumlin lined up his ducks (legislators), and they obeyed. This is amazing. Shumlin and the House Democratic leaders persuaded legislators to reverse their stated positions that utilities should refund money to voters. The legislators supported the utilities against the ratepayers, despite the AARP, despite their own publicly stated stands, and so forth. The utility cover story (we are going to use that money for Good Things like insulating houses) has also been broken, by the fact that the utilities expect to get interest payments on that money. Yes, indeed, the money has been taken out of ratepayer pockets and put into Gaz Metro pockets, and House members publicly voted for it. State Senator Randy Brock noticed this. Brock is running against Shumlin for the governor's office. Brock has started an on-line petition to refund the ratepayer money, therefore identifying himself clearly with ratepayers and the AARP, and distancing himself from being seen as defending the interests of Gaz Metro. Similarly, Gerry Silverstein wrote a very funny op-ed Vermont Energy Policy--a Play in Three Acts (So Far) in which he describes how the Wizard (Shumlin) makes money disappear from Vermont pockets and reappear in Canada. Ratepayers aren't the only ones who have noticed that Shumlin will protect the Canadian utilities. Gaz Metro has noticed also. They have become much bolder in their demands. In recent days, Gaz Metro has requested a "compressed process" for after-merger rate setting. This will be a process to set rates without having to hold all those annoying public meetings. They have also announced that the Lowell Mountain wind project will cost $11 million dollars more. Apparently, they hadn't looked ahead to the need to upgrade the grid to accept this intermittent energy. They still claim the total costs of the project will be the same. In other words, the Governor is on Gaz Metro's side, and Gaz Metro knows they have nothing to fear. No public meetings on rates, higher costs for their renewable project--no problem! If you simply substitute "Gaz Metro" for "Lola" and "little state" for "little man"-- this video says it all. What is in it for Vermont? What is in it for Shumlin? At this point, I must admit that the questions at the top of this post are completely unanswered. I have no reason to believe that this merger will be good for the state. Okay. The merger and so forth are a matter of energy policy. BUT, I also have no understanding about why the Governor is pushing Gaz Metro's interests so hard. Gaz Metro yes, AARP no? Why?? Members of the AARP vote in this state. Canadians don't vote. There are also laws about campaign contributions from foreign entities (it's a no-no). What is the governor getting out of this pro-Gaz Metro stance? It puzzles me and I admit it. Meanwhile, however, Lola is doing very well. The 105th Carnival of Nuclear Bloggers at ANS Nuclear Cafe could be called: the Spent Fuel Pool Debunking Issue. People such as Arnie Gundersen were disappointed that the world has not ended due to the melt-downs of Fukushima Daiichi. Their predictions were wrong, but they will never admit that. Instead, they have made a set of new predictions: the world will end because of Spent Fuel Pool number 4 at Fukushima Daiichi. As a matter of fact, Gundersen predicts that the spent fuel pool could "certainly destroy Japan as a functioning country" and he recommended that we all "move south of the equator if that ever happened." When your doomsday predictions don't come true, make more! Make them worse! Because of these predictions, I urge everyone to read the blogs in the 105th Carnival. Groups of bloggers with nuclear expertise answer these doomsday assertions, with facts, videos, pictures, calculations. We worked together and in tandem, and Dan put it all together beautifully at the Carnival. The most comprehensive post was by William Davis. He usually blogs at Atomic Power Review, but he wrote Spent Fuel at Fukushima Daiichi safer than asserted for ANS Nuclear Cafe. That was actually a collaborative effort between Davis and a group of bloggers. It was followed by more blogs on the subject: NEI Nuclear Notes on Setting the Record Straight, Rod Adams at Atomic Insights on Debunking the Fukushima Spent Fuel Fable, Steve Skutnik at Neutron Economy on TEPCO's Triage at Unit 4. This set of posts is honest and informative about the spent fuel pools: experts, expert opinions, reasoned arguments. Most of these posts attracted huge comment streams. Go to the Carnival, and read these posts. Read the comments, too! (Iillustration at right of Spent Fuel Support structures from TEPCO). In the book and movie On The Beach, everyone moves to the Southern Hemisphere. They die anyway of radiation poisoning. In the first part of the Carnival, the bloggers debunk statements of people who spend too much time watching that movie. However, the Fukushima fuel pool is not the only item of interest in the nuclear world. The Carnival includes posts by Brian Wang at Next Big Future on reactor starts and restarts for 2012, and on uranium production worldwide. 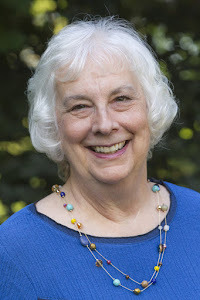 The Carnival includes Howard Shaffer's guest post on attending an NRC meeting for Vermont Yankee, and Robert Hayes at the S and T blog about using radiation for food safety. Come to the Carnival! Bloggers disprove and debunk the fuel pool scare stories. We don't have to move to Australia! This blogger work is important. Read it! In early May, the Public Service Board held a preliminary hearing on the new docket for a Vermont Yankee Certificate of Public Good (CPG). The Public Service Board decided to open a new docket for the CPG, instead of re-opening the old docket. The older docket undoubtedly included discussions of radiological issues: a recent federal court ruling showed that such issues are federal, not state purview. Scrubbing the old docket of this material was considered to be too difficult. For further background, you can see my earlier post: Hearing Tomorrow at PSB. Since this was a preliminary hearing, there wasn't much they could argue about except setting the calendar and the dates for further hearings. So they argued about that. Actually, there wasn't much of an argument. Entergy asked for 18 months for the case and the Department of Public Service agreed. Even most of the intervenors agreed (or were over-ruled). According to the Brattleboro Reformer, Jared Margolis, lawyer for New England Coalition said that New England Coalition (NEC) will also need time to review the voluminous amount of information Entergy will soon present to the board, said Margolis. "Discovery is going to be intense. They're going to dump a lot of stuff on us." Note: Amazing how often the nuclear opponents use the word "dump." 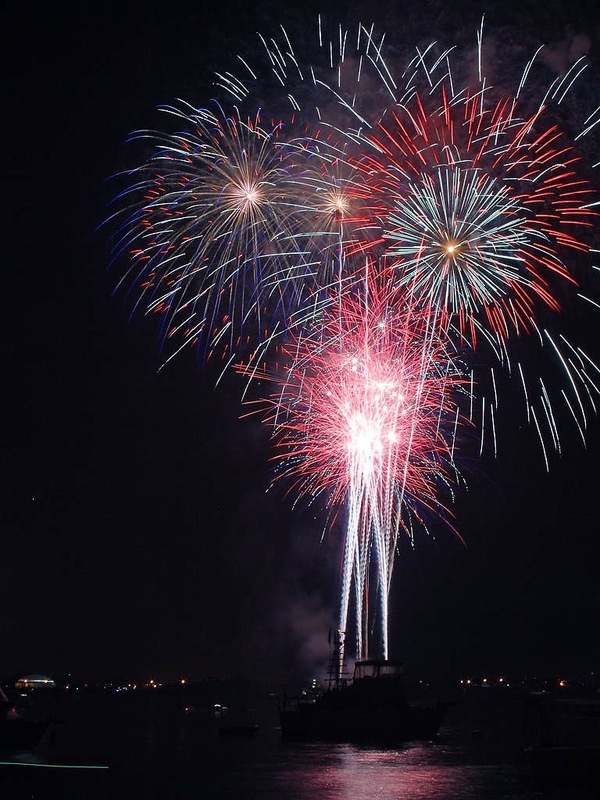 I suspect that most of the fireworks in this case will be provided by Sandra Levine, senior lawyer for the Conservation Law Foundation. In my opinion, she is an expert at table-pounding. The old lawyer saying: If the facts are on your side, pound on the facts. If the law is on your side, pound on the law. If nothing is on your side, pound on the table. She is quoted in two table-pounds in the Reformer article, one of which is merely her opinion, and one of which is a false statement on her part. The opinion: "One would expect an owner that can operate a nuclear power plant should be able to manage preparing a legal case in less than 18 months," said Sandy Levine, CLF's senior legal counsel. Sure. That makes perfect sense. If you can operate a power plant, you can prepare legal briefs very quickly. Everyone knows that (sarcasm alert). The false statement. Well, explaining this takes a little background. Every year, Vermont Yankee has attempted to de-list from the grid-operators forward capacity auction, concerned that the plant may be shut down by the state. Every year until this year, the operator refused to let them de-list, saying that Vermont Yankee was needed for grid stability. 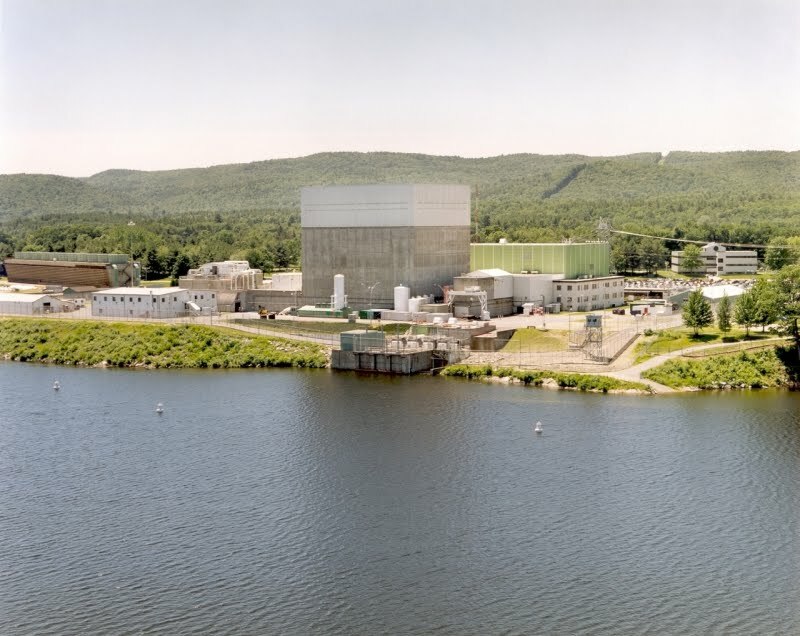 This year, at the end of April, the grid operator allowed Vermont Yankee to de-list, saying that transmission project upgrades had increased grid stability and VY could withdraw from the auction. (Read about the auction at MarketWatch) Ms. Levine took note of this and said: "ISO determined Yankee's power is not needed for reliability in the New England grid," said Levine, adding Entergy's claims to the contrary that were made to the PSB in previous hearings "are false." No, actually, these statements were true. 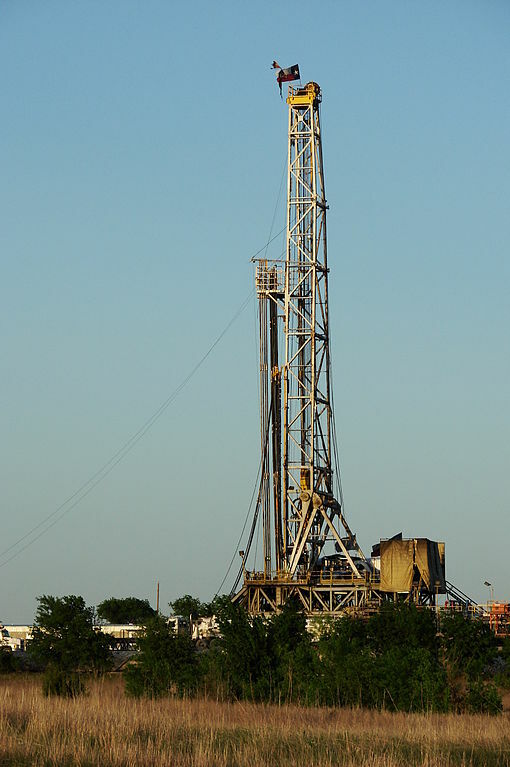 Until late April of this year, VY had never been allowed to drop out of the auction, due to grid reliability concerns. The false statement here was made by...well, you see it. Why do I have a picture of a combined cycle gas plant at the head of this post? Read the comment stream on this post at Vermont Tiger, if you really want to know. The post is about a Conservation Law Foundation subsidiary working hard to set up a natural gas-fired plant in New Hampshire. Ms. Levine's comments on that post are more table-pounding, but they are amusing. On May 23 the NRC will hold its annual "Report to the Public" meeting at Brattleboro Union High School. 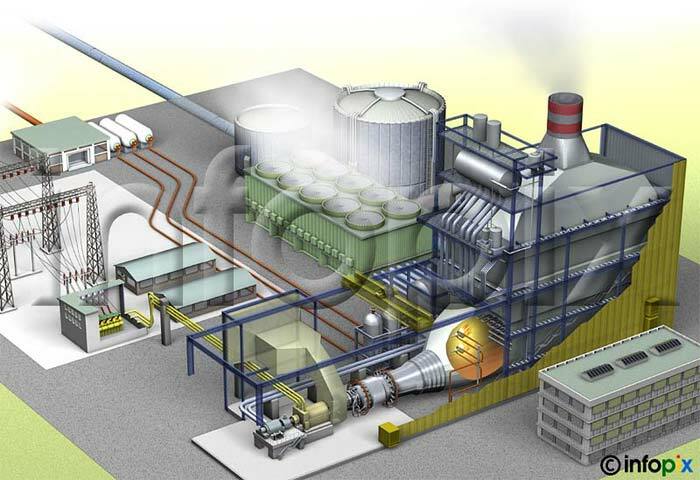 The NRC will discuss the plant's 2011 performance. As described in the NRC meeting notice, there will be an Open House from 5:30-6:30 p.m. This will give meeting attendees an opportunity to talk one on one with Region I staff members. From 7-8:30 there will be a Public Q &A session. No formal presentation is planned. Attend for whatever portion of the time you can. Wear pro Vermont Yankee and pro nuclear power buttons. Ask leading questions. The NRC tends to answer what is asked and does not try to resolve the underlying issues. Ask them questions they can answer in a positive manner. Dialogue with plant opponents. Remain calm. If and when they get emotional, don't join them in getting emotional. Introduce yourself to elected officials. Elected officials and their representatives attend this meeting. Introduce yourself. Let them know your feelings and beliefs. Show them that nuclear energy has supporters. Some history: For many years, one particular opponent has continually interrupted these meetings with outbursts. Last year I had enough. I sent in the feedback form, complaining that my right to speak was taken away by the outbursts chewing up time. I also sent the form and a letter to Senator Shaheen of New Hampshire, my senator. The Senator is on the Committee that oversees the NRC and I worked on her election campaign. I got a response from her office. We'll see what effect this may have on the meeting. Isn't the NRC's legal mandate from Congress to have nuclear power safely, but to have nuclear power? Safety could be assured by not having nuclear power at all, but then the benefits Congress wants would not be received. With planes, we could be safe by just never flying. Then there would be no accidents, but also no benefits. Some opponents of nuclear power say the NRC does not listen to them. Isn't it true that the NRC listens to opponents, and understands what the opponents want, but the NRC's answer is "No. We disagree. If you want to change national policy on nuclear power, you have to get Congress to do it." 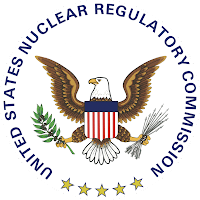 Opponents of nuclear power charge that the NRC has never turned down a license renewal. Isn't true that filing a formal renewal application is expensive, and plants can talk to the NRC staff informally? Isn't it true that if a plant thinks they won't get a renewal, or it will be too expensive, then they don't bother applying? Isn't it true that this has happened? Does the NRC regulate on the basis that"any amount of radiation is harmful?" Does the NRC regulate on the expectation of perfection in hardware and human performance? Isn't it true that used fuel in Dry Casks can't melt down in air, so that if terrorists blew them open the fuel pellets would just lie there, cooled by air as they are now? Your own questions will probably be better. Hope to see you there, if I make it. We are traveling for a family wedding and may not be back in time. I will try to be there. This post was written by Howard Shaffer. Your usual blogger, Meredith Angwin, expects to be at the NRC meeting. Her blog post about last year's NRC meeting: Opponents requested that NRC not answer their questions. They didn't want the NRC to "take up" their question-asking time by providing answers. Excellent, well-organized video of Columbia Generating Station, a GE Type 5 Boiling Water Reactor near Richland Washington. This is a big unit, 1150 MW, but much of the video will look very familiar to those who have visited Vermont Yankee. The 104th Carnival of Nuclear Energy Bloggers is up at Atomic Power Review. Once again, Will Davis starts the Carnival with a guess-what-this-picture-is. Davis has made it harder because he kind-of tells you about the picture, but what he tells you doesn't help. (Or at least, it didn't help me.) The picture sets the spirit of fun for the Carnival! Rod Adams at Atomic Insights gets tired of "low-carbon" natural gas ads, and suggests the nuclear industry use the phrase "ultra low carbon power." Dan Yurman at Idaho Samizdat describes the public war of press releases concerning the date of the San Onofre restart. Seems this could have been handled better. Speaking of San Onofre, Will Davis posts a San Onofre press release on his blog. Dan Yurman describes the progress and problems of the Watts Bar 2 rebuild. Leslie Corrice of The Hiroshima Syndrome is our view into the Japanese press. He rebuts apocalyptic headlines and then rebuts estimates of decay heat that are off by a factor of 20. Will anyone in Japan make these corrections? We doubt it. Fear sells. Brian Wang of Next Big Future announces that China plans to have a 5 MW molten salt thorium reactor by 2015. Many American LFTR fans (me included) celebrate while gnashing our teeth. Wang also describes the U.S. Navy research into fusion. ANS Nuclear Cafe has a terrific post on replacing nuclear with wind power: Can it be done? Dr. Ulli Decher gives the answer: no. ANS Nuclear Cafe posts about Congress and future 123 agreements on transferring nuclear technology. Jim Hopf puts this confusing subject into good perspective. With so many countries enjoying a nuclear renaissance, this is an important subject. Margaret Harding of 4Factor Consulting was pleasantly surprised at an NRC meeting on laser enrichment. Thank you for the stateside good news, Margaret! Gail Marcus of Nuke Power Talk starts her post by describing a stay at a nice hotel. At this hotel, long distance calls were free. Indeed, telecommunication is often "too cheap to meter." In her post, she compares the evolution of pricing in the energy and telecommunications industries. At Yes Vermont Yankee, I write about Vermont energy policy, as seen from the Statehouse. Sigh. 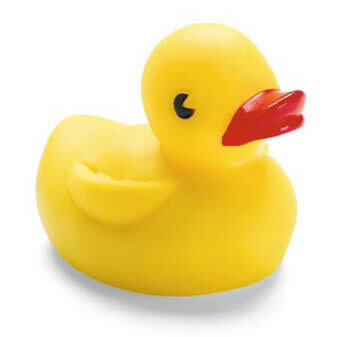 However, I include an illustration of a rubber duck, so it's not all bad. Davis has put together a great Carnival, with topics of interest to everyone. You'll laugh, you'll cry, you'll want to read the posts. Come to the Carnival! After a fast and furious two weeks, Governor Shumlin got his ducks (I mean, the legislators) in order and beat off an attempt to return $21 million dollars to the ratepayers of Vermont. The AARP and others objected to this scheme. It looked for a while as if the ratepayers might actually get some money. Not to worry, though. Shumlin lined up the ducks, and the ratepayers will get no cash. Apparently, Shumlin thinks it is easy to find the shareholders but hard to find the ratepayers. I can give Shumlin and Gaz Metro a hint--bills are sent to the ratepayer's addresses. They quibble that some of the ratepayers from a few years ago have left town or died. So true! And some of the shareholders have left town, died, or sold their shares to new people. It's just the same, for ratepayers and for shareholders. You have to give money back to the current shareholders and the current ratepayers. The AARP strongly objected to the idea that returning $21 million dollars to ratepayers was "quibbling." The message from the voters about "quibbling" got through to the Vermont Senate. On April 26, the Vermont Senate voted to direct the Public Service Board (PSB) to return the money to the ratepayers--as money. The Senate voted 27 to 3 to return the loan to the ratepayers as money. That same day, Shumlin sent a strong note to the Senate saying they had exceeded their legislative jurisdiction by interfering in an open PSB docket. He chided them for costing the taxpayers money by staying in session and. for...well, I wouldn't call it a note. I would call it an accusatory rant from someone who was used to getting his own way. As a matter of fact, I am reprinting it at the bottom of this post. Let's face it. Shumlin's ducks in the Vermont Senate had gotten away from him. He had to begin rounding up the ducks in the House. Rob Roper wrote a great article in True North Reports about the vote in the House: WTF?! Why the Flip? There are 150 members of the Vermont House. Of these, 72 were sponsoring a bill to return the money to the ratepayers, and another eight to ten were committed to vote for that bill. Shumlin's agenda of letting Gaz Metro keep the money was about to go down in flames in both the Senate and the House. Pressure was applied. Legislators flipped their votes and lined up behind Shumlin. Why the flip? We may never know. I also recommend John McClaughry's article on Pirates of the Winooski about Shumlin's need for more tax revenue for the Clean Energy Development Fund. Also the amusing article by Paul Heintz of 7 Days on Shumlin's explanation of why interfering with the Public Service Board about Vermont Yankee was okay (he led that charge in the Senate) but the Senate interfering in the utility merger would be overstepping: Shumlin Clarifies Position on Utility Merger---Kind Of. “The appropriate avenue for legislators to express their views on this proposed merger is through the Public Service Board, which has taken countless hours of testimony and received input from a wide range of stakeholders and experts. This matter is now in the hands of the Board. The Senate’s action today interferes with an open PSB docket, undermines the credibility of the regulatory process, and is an extreme overreach of legislative jurisdiction. Yes Vermont Yankee is proud to host the Carnival of Nuclear Energy Blogs this week. We have some truly excellent posts this time. We'll begin with a group of blog posts that I call "the Debunking Blogs." In a group of posts, nuclear bloggers debunk various anti-nuclear scare stories. Debunking Kelp: At Nuclear Diner, RADIOACTIVE KELP--Now What!! Susan Voss looks at newspaper stories of radioactive kelp washing ashore in California. She also helps her 8th grade son with a project on radioactivity in soils around Los Alamos. In both cases, radiation is not present at levels measurable above background. Debunking Cost: The Canadian Nuclear Association responds to Greenpeace Canada’s claims that nuclear energy is responsible for Ontario’s rising electricity rates. The post Nuclear Main Source of Affordable Clean Energy in Ontario, shows that the more likely culprit for electricity price rises is the “Billions of dollars [committed] to renewable energy without fully evaluating the impact, the trade-offs, and the alternatives through a compre­hensive business-case analysis.” Nuclear energy provides over half of Ontario’s electricity, it’s enabling the province to be coal-free by 2014 and provides the stable base needed to bring renewables onto the grid. Debunking Collapse: For a little comic relief, Rod Adams of Atomic Insights posts a video clip of a No Agenda podcast, which takes aim at Robert Alvarez and his fear-mongering story of the "catastrophic" risk from Fukushima Daiichi unit 4 spent fuel pool. No Agenda is produced by Adam Curry and John C. Dvorak, and in the Atomic Insights post about the Spent Fuel Pool Fable, you can hear Dvorak call Alvarez a "hysteric." It's not nice to call names, of course, but it is sometimes fun to watch other people calling names. Especially when the names are justified. Debunking the Joys of Being Nuclear-Free: As of yesterday, Japan has no operating nuclear reactors. At HiroshimaSyndrome, Leslie Corrice writes about the shuttering of Japan's last operating nuke. Japan is "nuclear free" for the first time in 42 years, and the future looks ominous. With Gas So Cheap, Do We Need Nuclear? Now that we are talking about Japan, it's a good time to talk about the effect of low natural gas prices on nuclear energy. Several blogs review various aspects of this situation on nuclear power in America, and World-wide. A Reactor Build Slow-Down in Florida: At Idaho Samizdat, Dan Yurman writes that Progress Energy reboots Florida Reactors Back to the Future. Dan reports Progress Energy has pushed back the completion dates for its planned twin Westinghouse 1,100 MW Westinghouse AP1000 reactors at its Levy County site on Florida's west coast. The first reactor is now expected to enter service in 2024, not 2020, and costs have also risen. We Need Nuclear to Combat Global Warming: At Atomic Insights, Rod Adams posts that Human Technology is Changing the Ocean Chemistry: What Do We Do About It? Rod discusses the argument that puny humans can't hurt the planet. He discusses the argument that we should fight nuclear AND fight global warming. He discusses the argument that we cannot have decent living standards on a livable planet. These are all incorrect arguments. Instead, we can use high energy density, emission free, abundant uranium and thorium to address many pressing problems. Technology is all about problem solving and we have some great technology blog posts this time. What Is Happening: Every few days, Will Davis of Atomic Power Review writes an update about Japan. In his May 4 post on Japan, Davis tells how TEPCO started a new web page to combat those who spread Fear Uncertainty and Doubt about the situation in Japan. He also gives a nice little hat-tip to me (Thanks Will!). I wrote a guest post on his blog. In that post, I wrote that the San Onofre steam generators would probably be down-rated to change the vibration pattern. I predicted that the steam generators would come back on line, and then everyone involved would sue each other. My predictions seem to be coming true, and Davis was nice enough to do a follow-up. Where to Find Out About What is Happening: In another post, Davis offers links and descriptions to three nuclear websites worth seeing and bookmarking. Handling Radioactive Material: In a series of posts at the Science And Technology Blog, Robert Hayes writes about How to Ship Radioactive Material, and How to Handle Radioactive Material. These posts are part of a series, and can serve as a useful resource to debunk some scare stories. Dry Casks Can Solve Problems, Or Be Deployed for Non-Problems: At Neutron Economy, Steve Shutnik writes Overheated Rods and Rhetoric. Senator Ron Wyden (D-OR) visited the stricken Fukushima Daiichi site and called for quicker action on spent fuel being relocated into dry storage casks. Robert Alvarez has gone as far as to call the situation at the spent fuel pool at Unit 4 "worse than Chernobyl." He calls for all spent fuel in cooling ponds to be immediately relocated into dry storage. The problem with both well-meaning non-experts, aside from their extremely limited understanding of the technical issues involved, is that their rush to apply a solution in search of a problem may do more harm than good. What a feast of a Carnival! 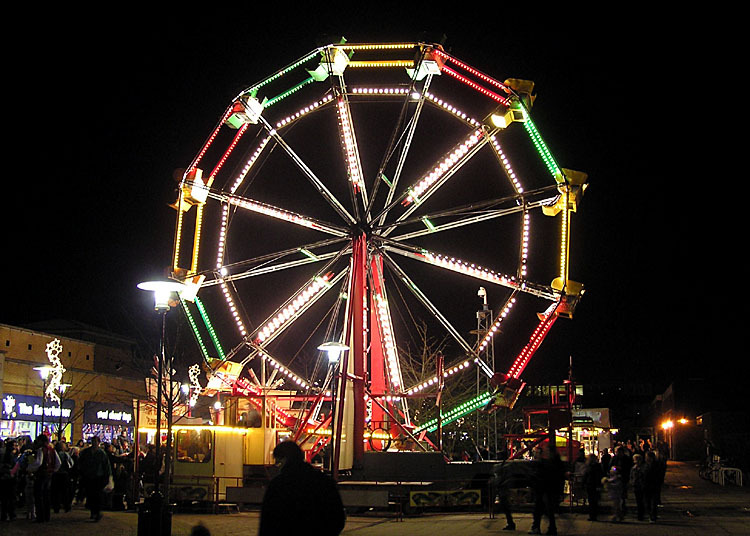 I am proud to be hosting a Carnival with so many great posts! The Vermont Public Service Board (PSB) is starting a new docket for the Vermont Yankee application for a Certificate of Public Good. As I noted in my earlier post about the crabby Public Service Board, the PSB wasn't sure what to do about the dockets. Could they could scrub the existing docket (Docket 7440) of issues that have been determined to be outside of their jurisdiction? Or should they start a new docket? They have started a new docket, #7862, and they are holding the first hearing on that docket tomorrow, at 11 a.m. It is a pre-hearing meeting, and will resolve only procedural matters. According to an article by Terri Hallenbeck of Burlington Free Press, Vermont Yankee doesn't expect a ruling on the Certificate until late 2013 or early 2014. Sarah Hofmann of the Department of Public Service (DPS) says the first application took a similar amount of time, but the DPS will present its own proposed schedule for the hearings. Meanwhile, I cannot find a link for docket 7682 on the PSB webpage of major pending proceedings. I guess the docket is too new. There will undoubtedly be fireworks in the future as intervenors try to drag the PSB into territory reserved for the federal government and so forth. Still, this one sounds like a snooze of a hearing, and I don't plan to go. There will be plenty of hearings to attend in the future. In other words: Here we go again. On April 24, Richard Schmidt and I debated Jeff Napolitano and Michael J. Daley on WHMP radio in Northampton, Massachusetts. My blog post about this debate is up this morning at ANS Nuclear Cafe: Be Here Now and the Debate. You can also hear the debate on this page of the WHMP web site. We are grateful for WHMP for hosting this event. I titled my post ANS post Be Here Now because a lot of the debate was about the nature of reality. The opponents refused to admit that shutting down a nuclear plant meant encouraging fossil fuels. They didn't want to talk about the choices we make today. Read the post at ANS Nuclear Cafe for a fuller account. with the SAGE antinuclear alliance. Michael J Daley, nuclear power opponent and author. Richard Schmidt, conservationist and engineer. About the photos. Vozella and Flaherty were hosts for the first hour. Newman and Serreze were hosts for the second hour. Schmidt and I debated Daley and Napolitano. 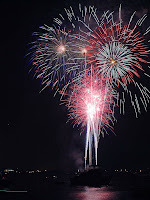 All photos courtesy of WHMP.